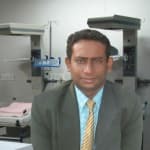 Dr. Pulak Kole is a popular Pediatrician in Alipore, Kolkata. He has helped numerous patients in his 15 years of experience as a Pediatrician. He has done MD - Paediatrics. He is currently associated with Woodlands Hospital and Medical Research Centre in Alipore, Kolkata. Save your time and book an appointment online with Dr. Pulak Kole on Lybrate.com. Lybrate.com has a nexus of the most experienced Pediatricians in India. You will find Pediatricians with more than 33 years of experience on Lybrate.com. You can find Pediatricians online in Kolkata and from across India. View the profile of medical specialists and their reviews from other patients to make an informed decision. Hi I have 7 months baby boy and he fell off from bed on. The reverse side that means on the side of nose, mouth. What will happen if he fell from bed? Baby may injuries from nothing to brain haemorrhage (bleeding) . Generally bones of babies are soft so fractures are less common . My daughter is now 13 month old and still weighs 9 kg only. her appetite is also very poor does not likes spoon feeding at all her birth weight was 3.28 kg. please tell me what do I do? It's normal weight for the age. Usually children don't eat well during 2nd year as the growth declins. I have a son who is seven month old, is not sleeping properly especially in the day time! What do you suggest to have him sleep during day time! Eating a healthy breakfast and lunch on time -- rather than grabbing a doughnut and coffee in the morning or a late sandwich on the run -- also prevents energy deficits during the day that will aggravate your sleepiness. Plan to finish eating meals two to three hours before bedtime. Hi, I want to ask about my 7 years old boy. He is having worms in his stomach. But there is no stomach ache. At night while sleeping his teeth make different sound. Like rubbing one another. We have given albendazole 2 months before, can we give it again now or anything else? albendazole is given once in 6 months. some children do make teeth clinching..but it is unrelated to worms.! My two years baby suffering from severe cough and cold. Can't sleep or eat. I gave him solvin and nasivion and 2 time dabur honitus. But no result. He vomit and mucus come sometime. What to do? Severe wet cough. Give him .ipecauche 3X (potency) .4 drops in one tsf of water 3 times a day. He will get completely cured. Gud bless your baby dear. Maintaining good oral hygiene has now become all the more important. A new study has linked the cause of migraines to be a specific type of bacteria present in mouth and gut. People complaining of splitting headaches is fairly common place nowadays. Statistics in india show that nearly one third indian women and one fifth of indian men suffer from this type of headache. There are three different types of headaches- severe headache, cluster headache and migraine. Headache is simply unpleasant pain in the head region of varying intensity. Cluster headache is intense one sided headache with tearing in the eye of the side of the pain. Migraines are moderate to severe pain in the head, usually diffuse and presents along with the above stated symptoms. Many people experience migraine because of different food items. Identify your trigger and then try hard to avoid it. Since many years now, nitrate medicines have been used to maintain cardiovascular health and previous research has revealed that heart patients who were given medications containing nitrates routinely complained of headaches. The migraineurs had high nitrate levels, but the actual connection to link the two had not been established until now. Researchers at the university of california-san diego investigated this further to identify the connection between what the migraineurs eat that alters their experience with migraines. Bacterial sequencing was done on the 172 participants of samples collected from their mouth and gut. Tests showed an abundance of nitrate reducing bacteria in their faecal samples, but even more in their mouth bacteria. The study published in the journal msystems has identified the link between oral bacteria and migraine, but it is still not evident whether these bacteria are the cause or a result of migraine. But even then it is best to stay safe from our side by maintaining a healthy lifestyle and a good oral hygiene. Migraine is often neglected by the patients and hence becomes difficult to treat. Identify the above triggers and causes of migraine and consult a physician if you have any of them. This is on the inside side of my arm by the elbow which hurts whenever I move, Anyone know what it is feels very irritable at times. Are there any long-term effects associated with taking ADHD (attention deficit hyperactivity disorder) medications? If so, what are they and what medications are implicated? What exactly is a spine block injection? Will it work long-term for low back pain due to disc problems? What causes Hashimoto's thyroiditis, and what is the best method of treatment? Can iodine help this condition? My daughter is 5 months 25 days old Please suggest me can I give rotavirus vaccine first dose now in this age. My son 4 years have taken alaspan tablet. Its my tablet but he has taken my tablet of one I am worried whats will happen to my son whats should I do now tell me? Relax. It's a non-sedative antihistaminic. Less likely to cause any serious side effects in a 4 years kid. Mild dryness of nose and mouth may be there. Consult pediatrician sos. My son is 2.3 years old. He is having fever. I have consulted doctor and he prescribed me syrup to give 5 ml dose in gap of 6-6 hours and told it is viral fever. After the dose fever goes and again after 6 hrs it starts, what should I do? If it is viral fever it should settle down in a few days. In case the fever persists you must review again with your doctor, may be he may advise some investigations to look into the other possible cause of fever.